Adhering to the naming convention of the ongoing family of ‘urban handbooks’ from Wiley, this substantial book is less a instruction manual for urban development and more a deep resource of use to architects, urban designers, planners and other development professionals. Starting with a succinct summary of the evolution of masterplanning, the authors offer their own definition which is clear, concise and characteristic of the supporting text and images evident throughout the book. Setting out to assess “how much control is desirable and necessary for urban development”, the bulk of the book is devoted to 20 case studies of historic and more recent masterplans drawn from around the world. I was recently delighted to be asked to contribute to a brand new website and online publication: landscapeurbanism.com. Founder and editor-in-chief Sarah Kathleen Peck is the driving force behind the initiative and it was a fantastic experience to work with her and her team on an article for the inaugural issue themed around ideas of “Indeterminacy and multiplicity”. The theoretical genetic code that makes up the DNA of landscape urbanism is spliced from a diverse and eclectic range of disciplines. 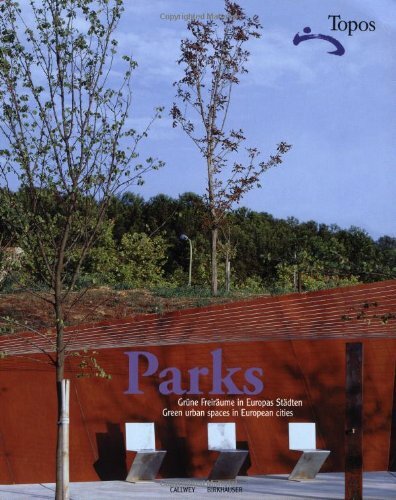 The selection, mix and concentration of these theoretical components by landscape architects, architects and other professions has resulted in discrete interpretations of landscape urbanism that are often contradictory and representative of specific rhetorical threads. What are these contradictions and how did they form? This dissertation is the result of my interest in a hybrid practice that might cross architecture and landscape architecture. As a student of both, and a city dweller, I have always been fascinated with how the contemporary city, in all its complexity, engages with the physical architecture of its built form and the landscape of its territory. Just as fifty years ago, there were few concepts of spatial structure in cities, we are perhaps now in a period where the understanding of ‘natural’ systems in cities is only just starting to emerge. ...we are currently in a period of architecture and design where the power of computers to model complex organic built forms is being exploited, resulting in the development of a new design language that works for both architecture and landscape architecture. Could such a common language lead to closer cross-disciplinary understanding and ultimately better designed landscapes, buildings and spaces?